WASHINGTON – Nearly 40 percent of NFL players last season wore a helmet model that got the second-lowest rating for reducing the risk of concussions in a study by Virginia Tech researchers. Riddell’s VSR-4 helmet received just one star in a study of football helmets led by Virginia Tech professor of biomedical engineering Stefan Duma and released Tuesday. 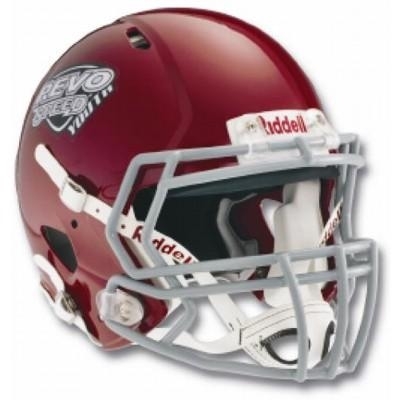 Another Riddell model — the Revolution Speed — was the only helmet that earned five stars, the top rating. Check out this Riddell Revolution® Speed Youth Helmet. Five models — two made by Riddell, two by Schutt and one by Xenith — received four stars. According to Riddell, 38 percent of NFL players wore the low-rated VSR-4 in 2010. The company also said 39 percent wore one of the various models that fall under the Riddell Revolution name or the new Riddell 360.
via Study shows NFL players wore low-rated helmets – Yahoo! News.